Follow-up to his groundbreaking European debut, 'Jackpot!' from 2005. 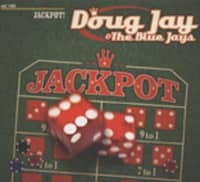 Doug Jay grew-up near Washington, DC and played in a couple of groups on the east and west coasts before starting his own band, years ago. Since moving to Europe, Doug resides in Osnabrück, Germany. The Blue Jays are an international band with a Dutch bass player, and two Germans. During the past years they have developed a significant ensemble sound, featuring guitar ace Jimmy Reiter. Jimmy ranks amongst the best, not in Germany, but in Europe. The ryhthm section works like a tight unit, and Doug sounds relaxed and sings with a strong voice (and he also ads some mangificant, modern harmonica solos). 'Under the Radar' will establish the band as one of Europe's leading blues formats. Mostly originals, covers by Lonesome Sundown, Lowell Fulson and Little Milton. With their special blend of deep blues, vintage rock'n'roll (NO bluesrock! 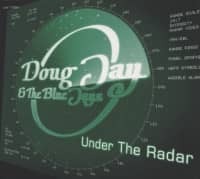 ), swampy sounds, ballads and rockers, New Orleans style blues and r&b, Doug Jay & The Blue Jays will cut their own blues path. DOUG JAY - vocals/harmonica, CHRISTOPH 'JIMMY' REITER - guitar, JASPER MORTIER - upright & electric bass, ANDRE WERKMEISTER - drums. Special guests: 'SAX' GORDON BEADLE - sax, TINO BARKER - sax, CHRIS RANNENBERG - pno, MO FUHRHOP - org, KAI STRAUSS - gtr (2 tracks). Digipak. Customer evaluation for "Under The Radar"